Photoshop files (PSD) are very important. PSD stands for Photoshop document. It is the file format to save your Photoshop creation that you were editing in Photoshop for working later. Web designers usually use PSD file format for designing work. But there is only one problem with Photoshop. It is paid and costs much. If you share a PSD file with a person, another person also needs to have the Photoshop installed. There are many people who cannot afford. In this case, another person cannot see your creation. There are many tools that work as good photoshop alternative. So, if you don’t own a copy of Photoshop, you can still open or edit PSD files. But it is not impossible. Although, PSD is Photoshop specific file format many other free image editors now support PSD files and allow users to see and edit PSD files. There are some online tools also available that help users while working on PSD files. In this post, I am adding few tools that can read and edit PSD files. These tools are the best alternative to Photoshop. You must try these tools if you do not wish to buy Photoshop. 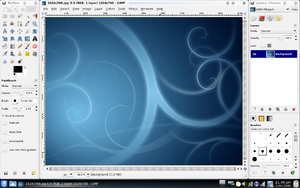 GIMP is an open source photo editing software comes for various desktop platforms. It is available for Windows, MAC and Linux/Unix. It comes with strong photo editing engines and allows users to resize, edit, crop, combine and converting images to other file formats. There are so many things which you do in an image with this tool. 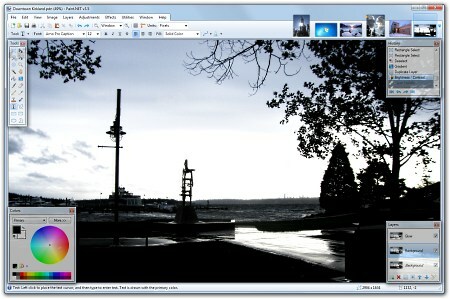 Paint.net is a popular photoshop alternate and comes with a nice photo editing GUI. Although it lacks PSD support by default, you can try using PSD plugin with it. Download PhotoShop.dll plugin and then put in in the File Types folder of the Paint.NET application directory. Once you have installed PSD plugin, you can use PSD files with the tool and edit it as per your need. This is one of the popular Photoshop alternate tools. If you only want to see the PSD files, you can try to convert it into many other image file formats. Try Go2convert online tool that can convert PSD file to jpeg or other image files. No login required for this tool. Most important thing about the tool is that it generates an archive file with all the separate layers and a single merged image. If your file is stored in Google Drive, you can directly see the preview of the file using Google Drive file viewer. Google Drive supports many image formats including PSD. If you only need to see the content of PSD file, you can store it on Google Drive and then see the preview of it. These are the tools that let you edit PSD files without having Photoshop in your system. If you do not want to install Photoshop in your system or you do not want to purchase Photoshop, you can try any of the tools or services mentioned above. These tools or services work fine. What tools do you use for image editing? Let us know about this in comments.